250 Billion Content Recommendations per month! Find out why we are the #1 fastest growing network. Rethink what's possible, Reimagine what's next. We Believe every site is not created equal. selective and premium native network in the world. We Believe in user experience. value to them and their experience on your site specifically. and honesty and this drives the data we provide to you. We Believe in people driven technology. "Industry-leading returns: RPMs as high as $40." 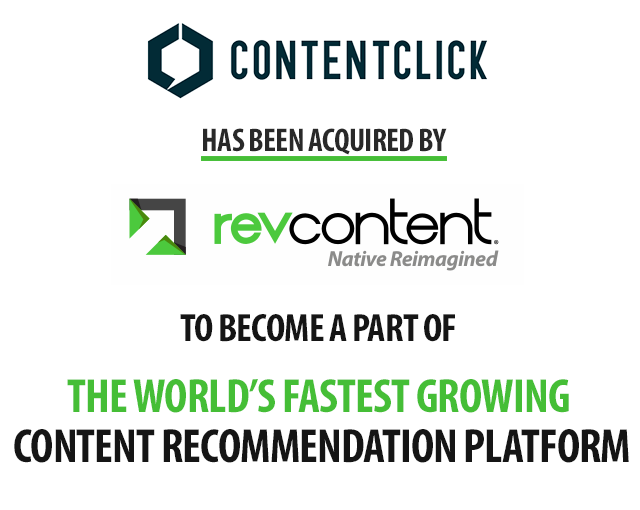 Patch has worked with multiple players in the content recommendation space, and after extensive evaluations, Patch concluded that Revcontent was able to deliver the best combination of content control and monetization. 250 Billion Content Recommendations per month on Exclusive Placements! Access the influencers and influencer sites. as the Only Premium Publisher Closed Native Network. Either way full 24/7 access to advanced reporting. User Experience Driven Implementation Create a truly native look and feel for your users. In-Stream / Gallery Implementations RPMS you can only dream of - are you missing the boat? Unlimited Customization / API YOU Dream it YOU can make it a reality. site and not your site around our widget. Find out why our Performance is King Signup Today! Create a truly native look and feel for your users. RPMS you can only dream of - are you missing the boat? YOU Dream it YOU can make it a reality. Sign up for a Revcontent account today to access the industry's highest RPMs and unbeatable user engagement.